There are two main user types on all Windows computers: users and administrators. Generally, users are restricted to viewing and editing their own files and programs while administrators can view and edit files and programs for every user on the computer. 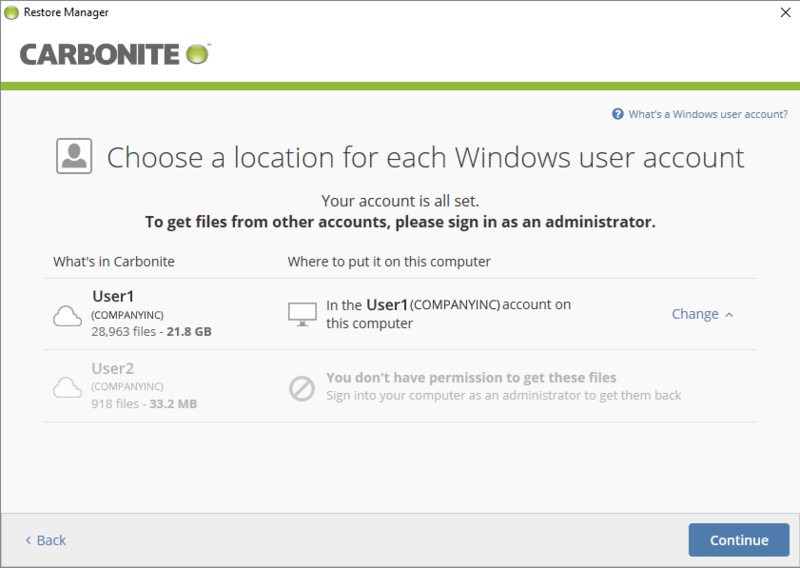 There are certain features and options in Carbonite that are only accessible to Windows administrators. How Do I See If I Am an Administrator? 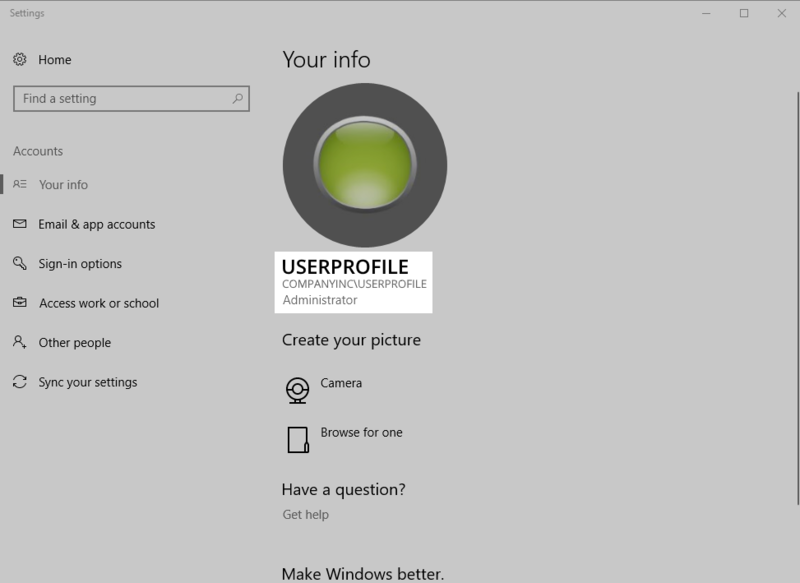 You can see if your Windows user is an administrator by accessing User Accounts in the Windows Control Panel. Click Start; Control Panel; User Accounts. Click Start; Control Panel; User Accounts and Family Safety; User Accounts. Press the Windows Key + S keys at the same time to open the Search charm. Type "user accounts" in the Search box, then click User Accounts in the list of search results. Click Start; Settings; Accounts; Your Account. In the window, you should see your Windows username and profile picture. If your user description contains "Administrator" (or "Computer administrator" in XP), you are an administrator. If not, you are a regular user. Note: These examples are from Windows 8.1. Your screen may look slightly different depending on your Windows version, however, the layout will be similar. I See a Backslash (\) in My Username. What Does This Mean? If you see a backslash in your username, this means your user profile is considered a “Domain user”. If you see [the name of an organization \ a user name], then you are logged into your machine as a domain user. Your level of permission will be specified below your username. See the image below for an example of a domain user with administrative privileges. Domain users are typically part of an organization. Domain users are like local users, but there are some important distinctions you should be aware of. In order to restore files that are contained within these user profiles, you must log into your computer as an administrator that has permission to access the files. If you would like to change your account type on a personal computer, we suggest contacting Microsoft directly for assistance. Be sure to select your Windows version from their menu. If you are on a work computer, please contact your system administrator.